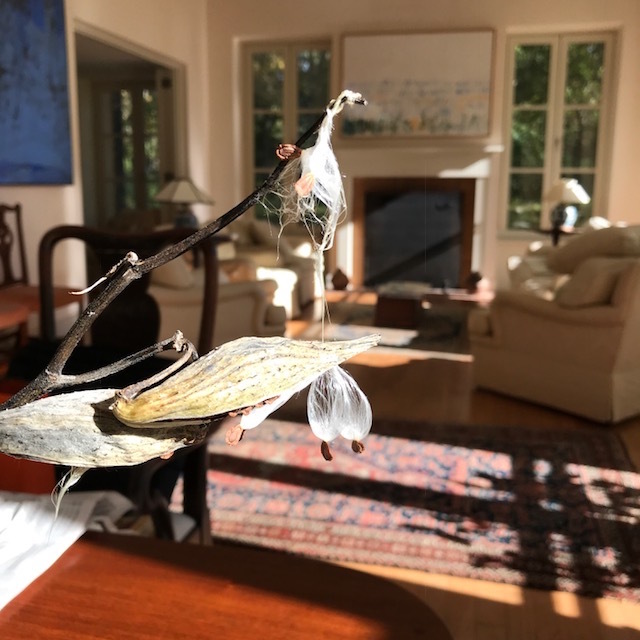 Elizabeth Enders has captured a vision of the Milkweed through careful observation of an original specimen and an immediacy of painting style. Her approach to extracting the plant’s form with a few powerfully painted lines, carries the full weight of its parts. 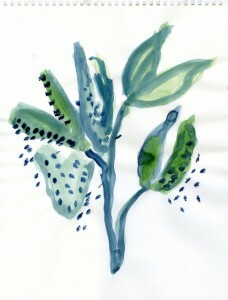 Her contemporary vision of a complicated plant, simplifies its very form to pure elegance. As winter draws to a close, we reflect on this change through a stunning dried specimen and within her “winter blues” and greens. Elizabeth Enders, Milkweed VII, 2018, watercolor on paper, 14.5 x 11 inches. Available for purchase.